Today I'm going to be sharing with you a fun Valentine's Day gift idea for the man in your life, the Gillette Fusion ProShield with Flexball technology*. It's an absolute gem of a razor with a new lubricated strip before the actual blade to prevent irritation, which means your man will be nice and silky smooth! 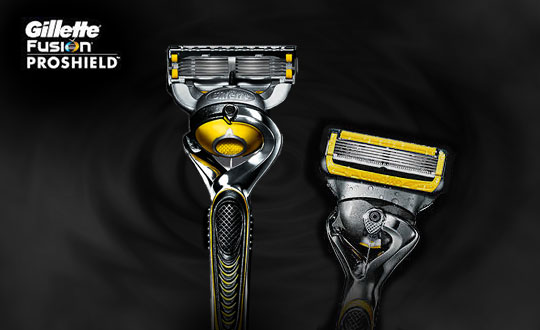 The five blades glide over the skin and with the flexball technology the razor contours to the face and picks up every little hair. I roped in my brother to give it a test run so I could share some live feedback and he commented on how the blades didn't drag at all on his skin and how he felt got a close shave without any rash or bumps afterwards which he's had before with other products he's used. He said he would use it again. For a bargain £12 RRP available from most major retailers, it really is a simple and easy Valentine's gift and a practical one at that. If you are looking for something to surprise him with, definitely consider checking it out.